Samuel Wesley was the Rector at St. Andrew's Church, his son, John, was the founder of the Methodist movement. 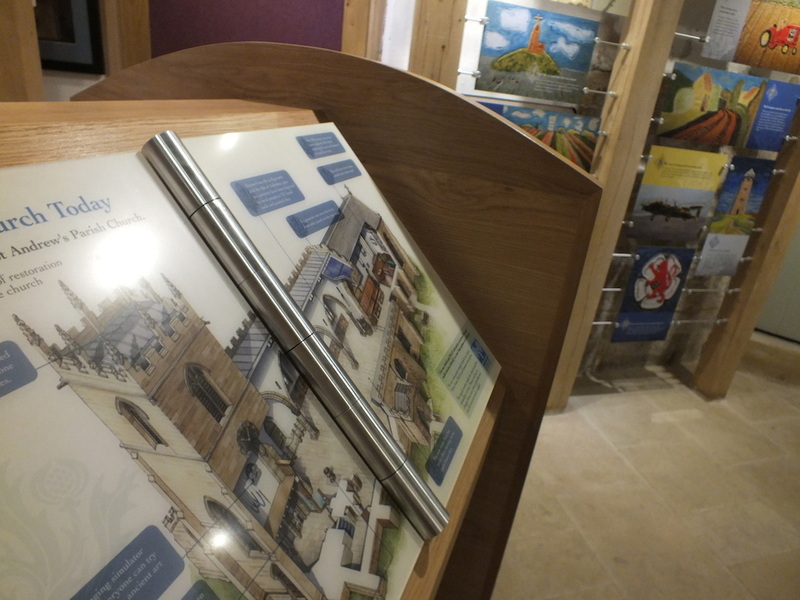 Following a recent £800,000 restoration we developed and delivered a wide range of interpretive outcomes which form the purpose-built heritage located under the newly constructed bell ringing platform. Information browsing book within the Church. 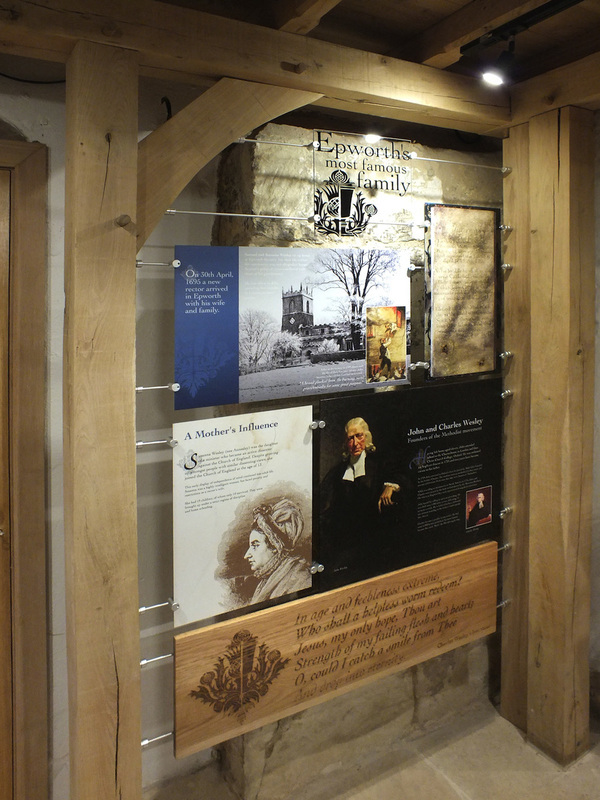 Interpretive panels within the heritage room. 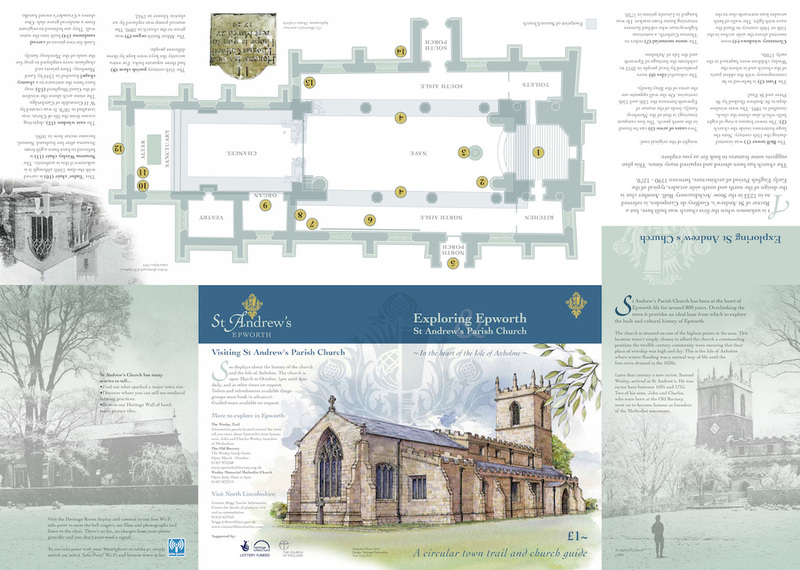 Town heritage trail and leaflet. 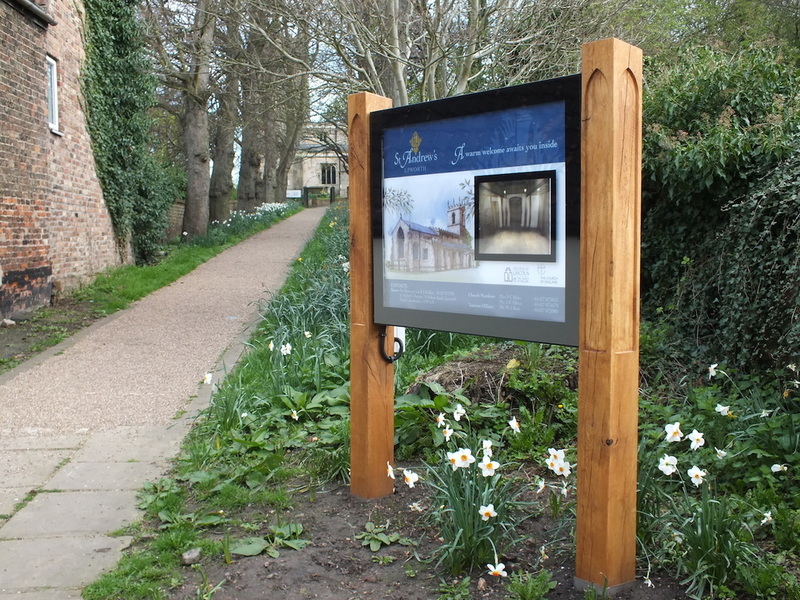 14 point 'Info-Point' tour of the Church which allows visitors to view tour films on their smartphone or tablet at no cost and with no need for phone or WiFi signal. Film of Rev'd Walker talking about the significance of the chalice. A film showing a whole day of activities with a group of children from a nearby primary school. St Andrew's organist talks about the organ and the church choir. 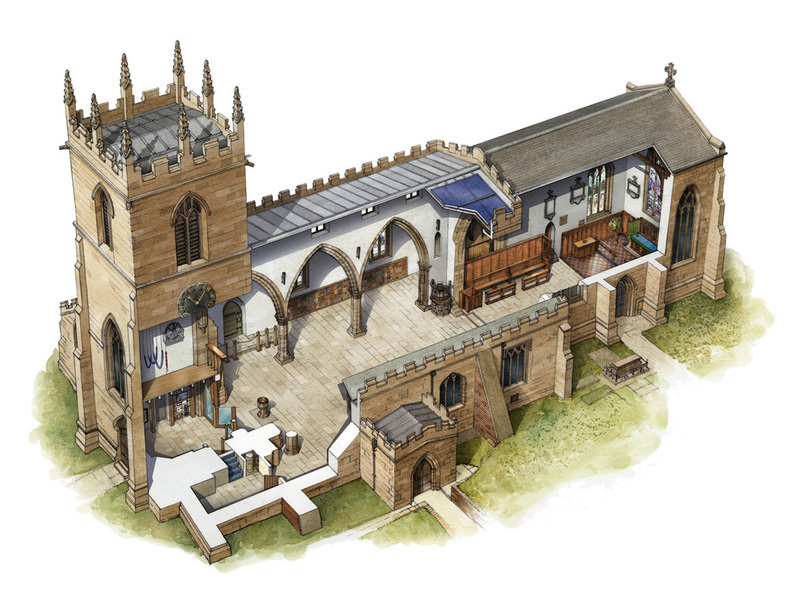 Virtual tour of the church showing the key aspects of the architecture of St Andrew's. Using a special device that creates its own discrete Wifi network we installed a 14 point tour of the church. Visitors access these films via their own smartphones or tablets. No mobile or data signal is required.